On a hot summer day, I had just finished mowing my front lawn when my neighbor walked over to me and asked “you’re an engineer aren’t you?” I said that I was. He proceeded to ask me if I might do him a big favor and have a look at his garage door opener. I gave him a puzzled look but since he was just across the street, I wiped my sweaty forehead and followed him toward his house. As we were walking to his place, he told me that for the last several days he was not able to close his garage door until later in the day, once it had opened. He would come home about the same time each day, open the door with the RF remote control in his car and pull in to the garage. But once opened, he could not get it closed. This problem had started a few days before and occurred every day since. He would get home at about 5:30 after work but could not close the door until around 6:30. It was driving him nuts. He could not understand why this problem would somehow fix itself about the same time each day. 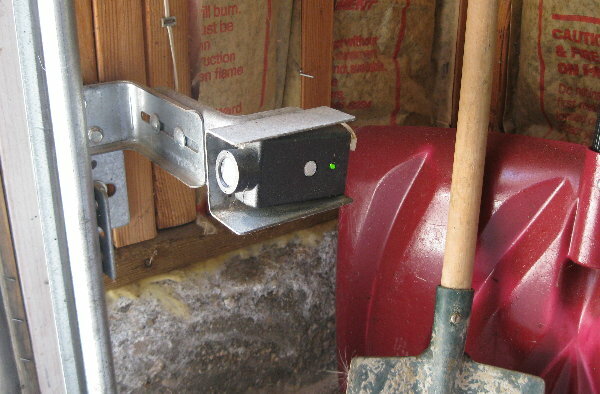 Since every garage door in my subdivision, including mine, had the same door opening mechanism, I was quite familiar with the machine. These single large door models used a belt drive to move the door, using a geared motor, powered by 120vac. An optical beam hazard detection system was included in the opener, to prevent the door from coming down onto an object. The object detector was a modulated light source on one side of the door opening and light detector assembly, on the other side. Both modules were positioned just inside the door, about a foot off the ground. I suspected that this detector was the root cause of his problems. But why did it only fail in the afternoon? I asked my neighbor a few questions and then I asked him to open his door for me. In about a minute he had opened the door and came outside with me, armed with his car’s RF remote. He showed me that at this time of day, he could open and close the door without any problems. At the time of this demonstration, it was about 1:00 in the afternoon. So, in review, he gets home at 5:30 and can’t get the door to close but by 6:30 everything is fine again. What is going on this time of the day? Sure, other people are also coming home about that same time, so it might be possible that their opener is somehow interfering with his unit. But, he says that he has tried the opener several times during this period and gets the same result. The door would not close in any time during that hour long period from 5:30 to 6:30. Could a local ham radio operator swamp the opener’s RF receiver? Not likely. There were no hams in our immediate area. 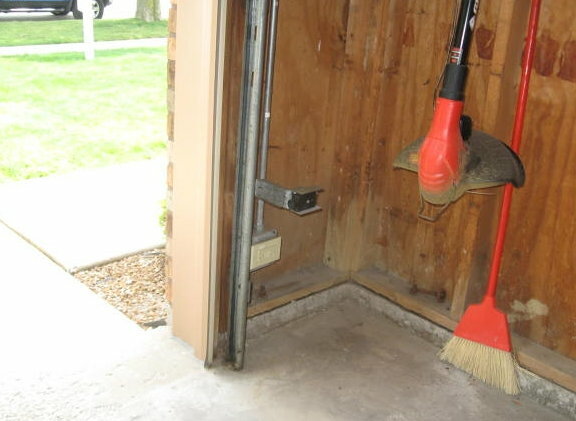 He added one more clue to this puzzle when he said that even the direct hard wired connection to the opener, using the pushbutton by the door, leading into the garage, would not allow him to close the door. It flashed the opener’s light, like there was an obstruction in the pathway. A light went off in my head. Bingo! In a flash, I figured the whole thing out. I told my neighbor that I would come back with some hardware to fix his problem and we would test my theory when the magic 5:30 time came around again. I asked him for a ruler and I made a few quick measurements of the hazard detection light receiver module. I went back to my basement lab and grabbed a two and a half inch long piece of one inch PVC pipe, a rubber band and some RTV caulk. In a few minutes, I was back at my neighbor’s house. I put some RTV rubber around the outside of the round lens piece sticking out from the receiver housing. I slid the piece of PVC pipe over the lens and then put a rubber band around it, to hold it in place, while the RTV cured. At around 5:30, I went back over to my neighbor’s house and he was waiting for me with his RF remote in hand. We tried it several times and the door worked perfectly. He looked over at me and said “OK genius, how did a piece of pipe fix the problem?” I described how the optical object detection system worked. I showed him with my hand that whenever the established light beam was broken, the opener would not try to close the door. 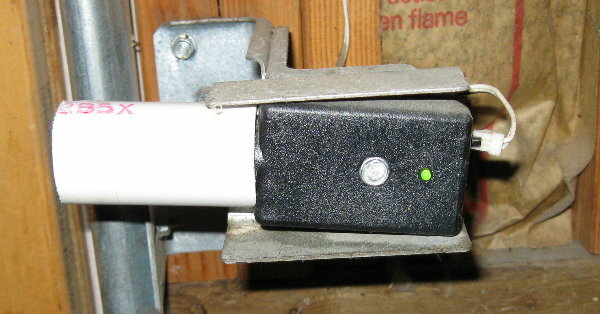 If the door was closing, it would stop, then flash the opener’s light, to signal that an obstruction was detected. At this time of the year, at 5:30, the sun rays come from nearly due west. His receiver faced in that direction. His house faced nearly due north, so the sun’s rays were nearly directly in line with light beam receiver. The bright sunlight blinded the receiver unit. It could not detect the modulated light from the transmitter side. Once opened, the door would not close, since it thought there was an obstruction. At 6:30, an hour later, the sun rays were closer to the horizon and were cut off by homes down the street. At that time, his light receiver was again in the shade. It should be noted that if the transmitter and receiver sections were reversed, there would be a good possibility that my neighbor would have the same kind of problem but it would occur in the morning. The short piece of PVC pipe provided just enough shading from the sun, so the light no longer struck the detector directly. Once the pipe was installed, my neighbor never had any more problems.